“Dragon” You Along On A Comical Tale! LOS ANGELES (February 26, 2015) – What does it take to make your dreams come true? Passion? Practice? A willingness to defy your natural duty? For one loveable dragon, all this and more! 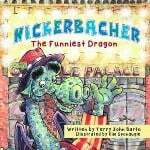 Come meet author Terry John Barto’s newest character in Nickerbacher, The Funniest Dragon, a 34 page color illustrated book with an SRP of $15.15 breathing fun for children ages 5-8 March 23, 2015. Nickerbacher will also be available as an eBook with the download price of $3.99. Nickerbacher is a sweet-tempered, bushy-browed beast who spends his days guarding Princess Gwendolyn and dreams of being a stand-up comic — not exactly a profession for a dragon! He’s true to his duty as a dragon – as dictated by his Papa – but wants only to make the world laugh. Gwendolyn is supportive and encouraging, telling him he needs to do what makes him happy. It isn’t until the dashing Prince Happenstance comes along, ready for a fight, that they realize that instead of battling each other, they should do what’s in their hearts and pursue their true desires (the Prince really wants to be a baseball pitcher). With a winning set at The Comedy Castle and his family’s newfound support and pride, it’s all laughter, happiness and dreams come true for the good-natured dragon! With beautiful illustrations by Kim Sponaugle, Nickerbacher, The Funniest Dragon encourages young ones to dream big while laughing at Nickerbacher’s silly jokes! 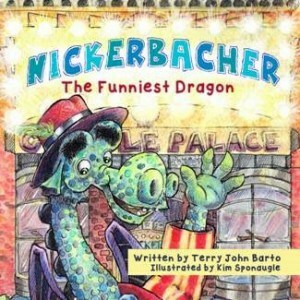 Nickerbacher, The Funniest Dragon is 34 pages and is available for a suggested retail price of $15.15. To order or for more information please visit http://nickerbacher.com. 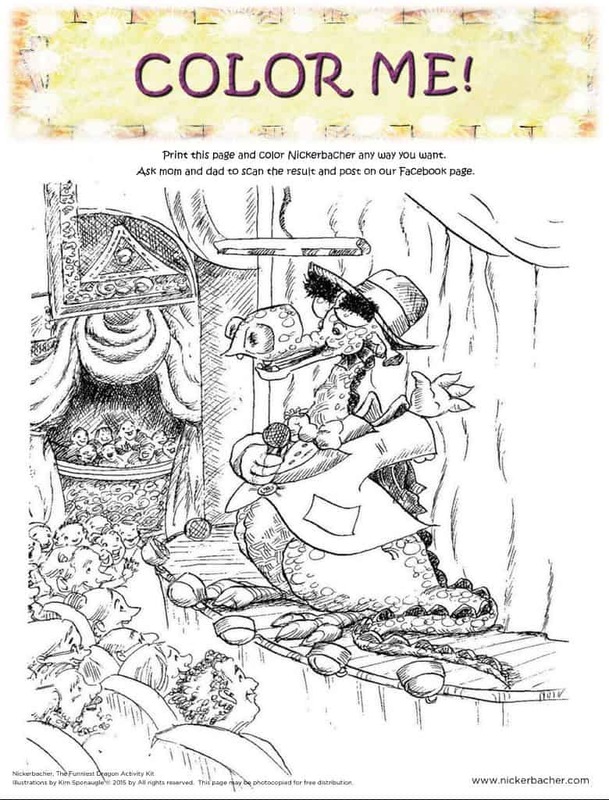 Nickerbacher, The Funniest Dragon is also for sale at www.amazon.com or www.barnsandnoble.com and available for download as an eBook. Terry John Barto has crafted dances and musical staging for more than 200 productions throughout the United States and abroad. His versatility ranges from Annie and Crazy For You to The Who’s Tommy and West Side Story. Terry staged long-running shows for Princess Cruises and a variety of his choreography has been seen on CBS’ The Bold and the Beautiful. As the Creative Director for Wings of Dreams Productions, he turned diverse ideas into screenplays for animation and toys. He has also written another children’s book Gollywood, Here I Come! (Mom’s Choice Award Winner and Story Monster Approved). For more information about Terry John Barto, please visit www.TjbKids.com. Kim Sponaugle, a graduate or the Art Institute of Philadelphia, started Pictures Kitchen Studios in 2007 and since has illustrated over 50 books for kids. Pictures Kitchen Studios has been honored to receive numerous awards including Mom’s Choice, Pinnacle Book Award, CIPA EVVY and Reader’s Favorite Awards. Visit http://www.picturekitchenstudio.com. MomMomOnTheGo has had the honor of checking out Nickerbacher The Funniest Dragon and I have to say that Nickerbacher is definitely a cute and funny dragon. The book provides a lot of humor that kids will surely enjoy. A midst all the laughs is a wonderful life lesson of being true to yourself and following your dreams. The illustrations in the book are wonderful and help to make Nickerbacher a cute and lovable dragon. With the wonderful illustrations of Nickerbacher and his funny character, the stereotype of dragons being fearful is certainly not the message in this book. My Little One, who is 7 years old, is at that age where she loves jokes. To see your Little One laughing and enjoying a book is awesome. The laughs, awesome illustrations, and great story will surely make this book one that is enjoyable for the adults to read along with their children. The recommended age group for Nickerbacher is ages 5 to 8 years old. I agree with this age ranking for this book. 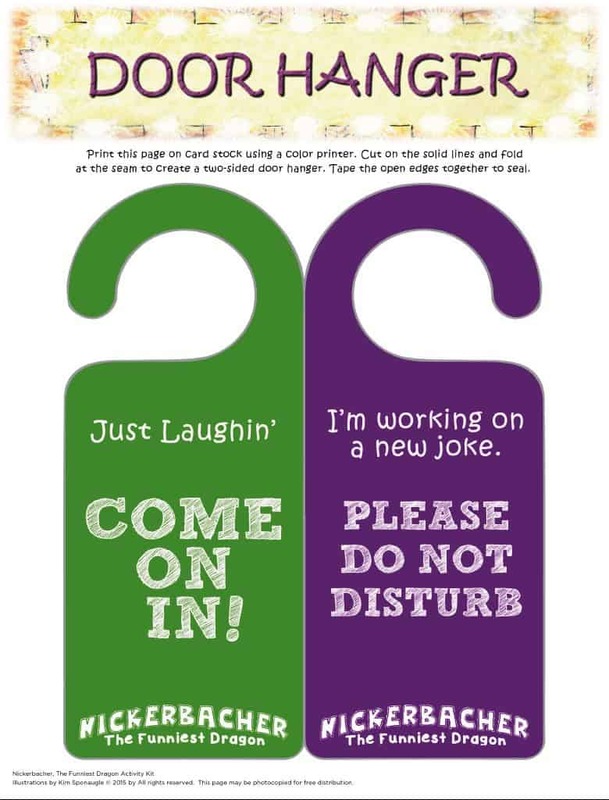 The jokes will be enjoyed, as well as the illustrations, and stories for kids within the recommended age group. or door hanger for your little one.